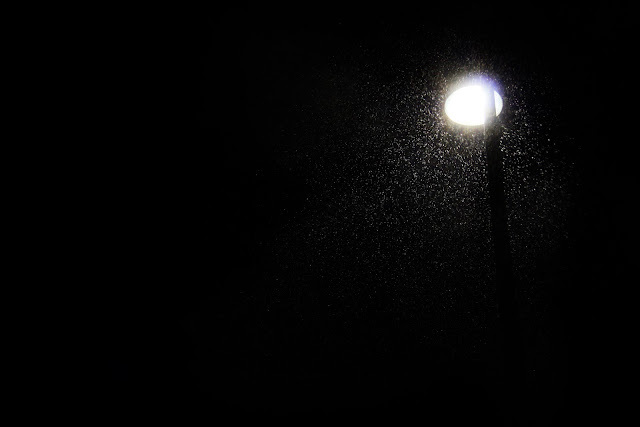 This scene of the snow sparkling beneath a street lamp has always reminded me of when I was 5 years old sleeping on the top bunk of my bunk bed. My brothers fast asleep......one on the bottom bunk and one in a crib. It was winter and I would sit looking out the window, tucked beneath my blankets and marvel at this sight. I would often think of them as winter fairies dancing beneath the moonlight! I was lucky enough to see this tonight!